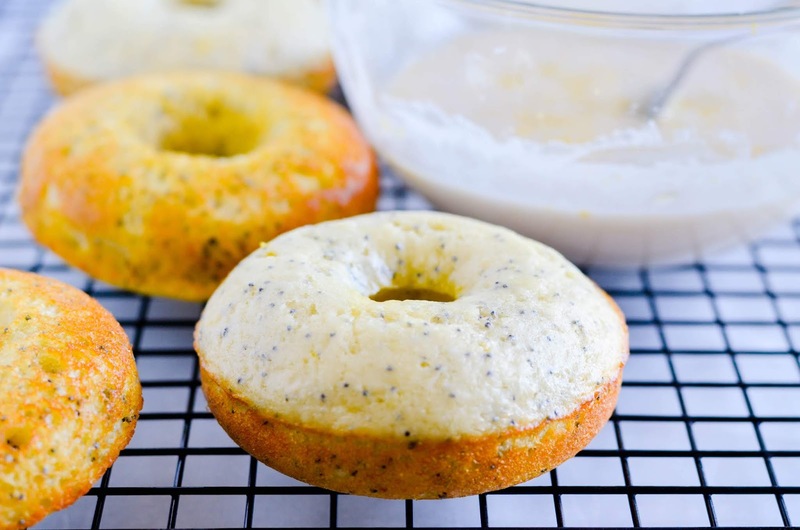 These Lemon Poppyseed Donuts have a moist, tender crumb and are bursting with lemon flavor! Plus, they're baked. Which means they are super easy! FIND MORE RECIPES ON OUR FACEBOOK PAGE! 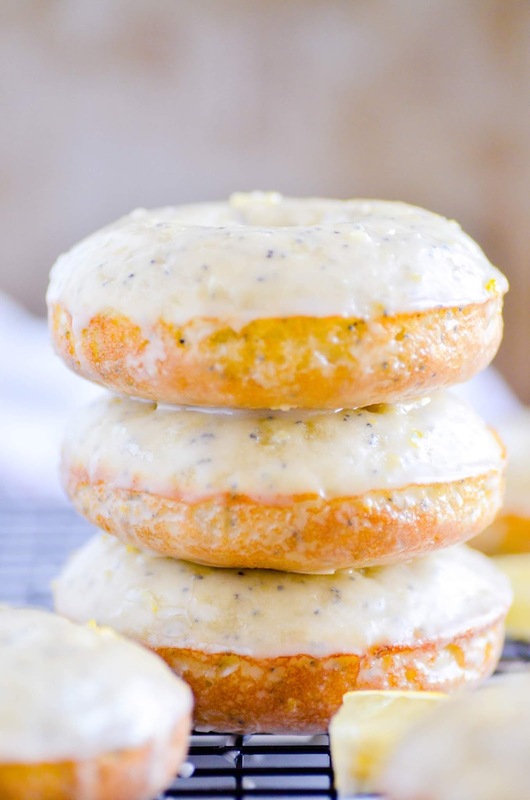 You won't be able to stop at just one of these Baked Lemon Poppyseed Donuts! 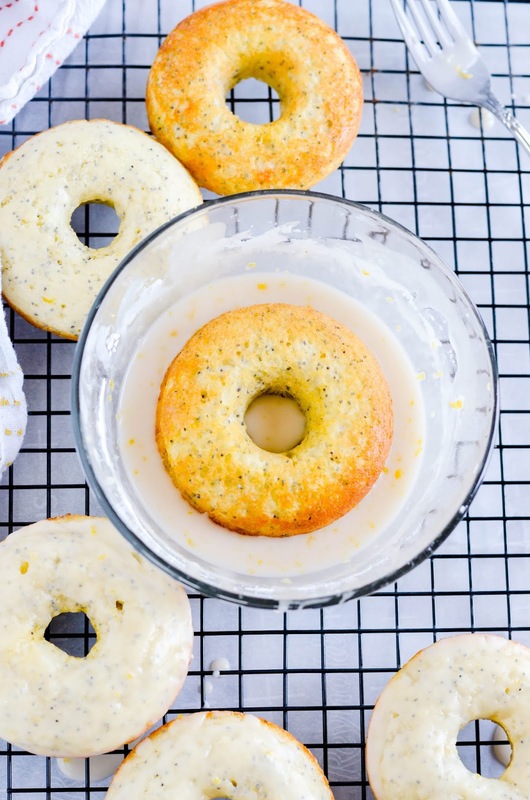 You could make these in a regular muffin pan if you want, but go ahead and get a donut pan! They don’t cost much and you can get one like this in 2-days with Amazon Prime 🙌🏻. It's important to grease the tin generously with nonstick cooking spray. There are two main reasons for this: a) it allows an easy release of the donuts, and b) it actually gives the donuts a bit of a fried texture, just like donuts from a bakery! You can add a little more or less water to the glaze than the recipe calls for to get it to the exact consistency you’re looking for. I like a thinner glaze, it tastes more like a bakery donut (but be careful-- a glaze that is TOO thin will make the donut soggy 😝). Whisk together the flour, baking powder, baking soda, poppyseeds, and salt. In a separate bowl, whisk together the buttermilk, butter (slightly cooled), egg, sugar, vanilla, lemon juice, and lemon zest. Add the wet to the dry ingredients and mix until batter forms. Generously grease a donut tin, and pipe the batter evenly among the 6 donut molds. Bake for 9-10 minutes, until the donut springs back when pressed lightly with your finger. Invert onto a cool rack and let cool before glazing. Make the glaze: whisk together the powdered sugar, lemon juice, vanilla. Add the water 1 tablespoon at a time until you are happy with the consistency of the glaze. Dunk each cooled donut into the glaze and place back on the cooling rack to let excess glaze drip off (place a piece of parchment paper underneath).